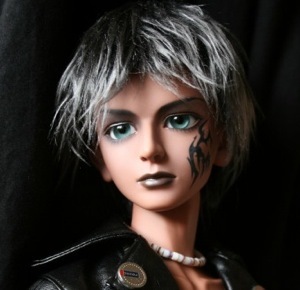 The Golden Gate BJD Expo, ‘GoGaDoll’ 2009 is open for pre-registration now. Anyone who pre-registers by December 31st will get $10 off the total. There are various events planned including an opening event/cocktail party. 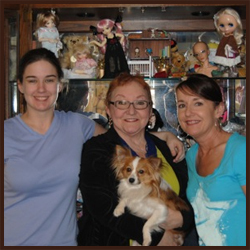 Special guest is Doll Artist Charles Stephan from Charles’ Creature Cabinet. For full information on the conference and the events as well as ticket prices and special hotel rates, go to the GoGaDoll website. The Double Doll Show in Nottingham UK will be held at Kelham Hall on Sunday November 2nd from 10:30 AM to 4 PM . Angel Unlimited will be attending and will have a few dolls as well as doll clothing, shoes and accessories available for purchase. There will also be a while-you-wait restringing service at their stall. Directions to Kelham Hall can be found HERE. On October 11th and 12th, the Puyallup Fairgrounds will be hosting a Doll & Teddy Bear Show. Admission: Early Bird (Sat 8:30AM) and 2 day Admission $8.